I've been a member of Creative Fibre for nearly 30 years and this Society has a tradition of sharing information, helping and encouraging. I know when I first joined Whangamata club way back 'whenever' I received heaps of help and encouragement. Because I live in a reasonably isolated area I tend to not go to club meetings as it takes so much time travelling which is time away from my production so I like to help whenever I can. But, at what point does Creative Fibre "help" become releasing sensitive commercial information? Where do you draw the line in the overlap? I wrote the above sometime ago with reference to another incident but then realised I'd done much the same. The line does become very blurred. A while ago the lovely Jessicah showed some gorgeous yarn she had spun and it seemed to be just the spinning method I needed for a project I had in mind. I wrote to her inquiring but also said I understood if she felt this was commercially sensitive as she teaches spinning. She kindly gave me the method (rather more organised than what we had learnt at Majacraft camp) and I adapted it to suit my project. 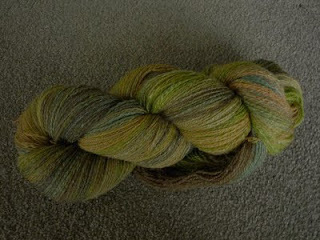 I was combining two variegated slivers of merino, one from Awakeri Woolcraft and one from Tracey White (Inspired Fibres) and a variegated sliver of silk dyed by Jessicah. Having put all three through the drum carder with the silk sandwiched in the middle I took each batt off and split it vertically down the middle and put each of them back through the carder so I now had two matching batts partly mixed which I kept in order in seperate boxes. I had parted the dominant sliver at colour breaks as much as possible. 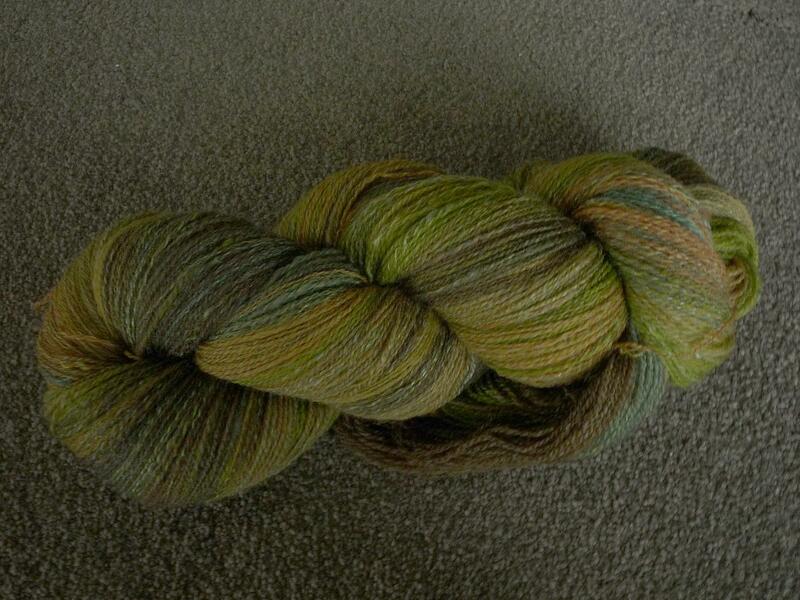 It spun beautifully and pretty much kept to tone on tone with a little overlap when plied; just what I wanted. Now to find time to knit it! It looks gorgeous Dianne. How long did all that preparation take? Thanks Rose. Surprisingly not much time at all as the slivers were top quality.